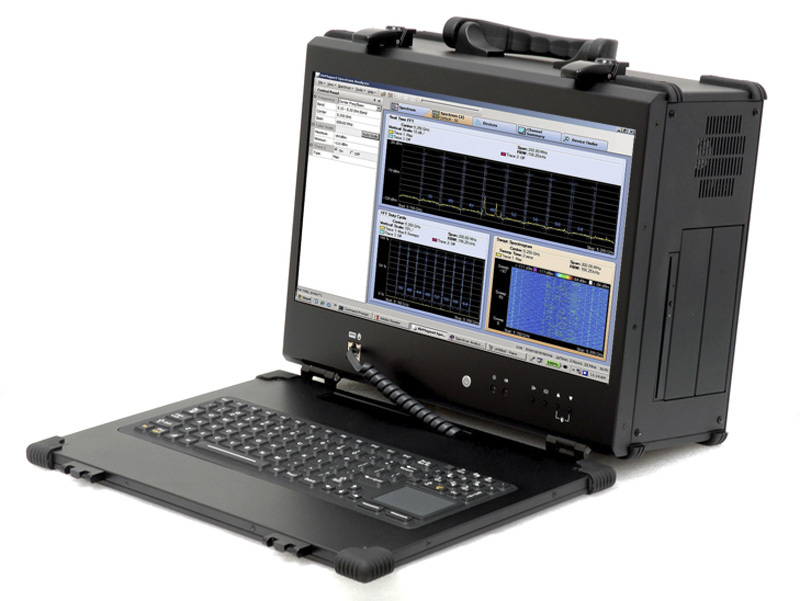 The Military Ruggedized Portable Computer was introduced by ACME Government Systems in 2011. With a sand, dust and rain resistant keyboard and robust all-metal construction, the MRPC has proven a worthy spiritual successor to the Dolch FlexPAC and Dolch PAC computers, with even more robust construction. 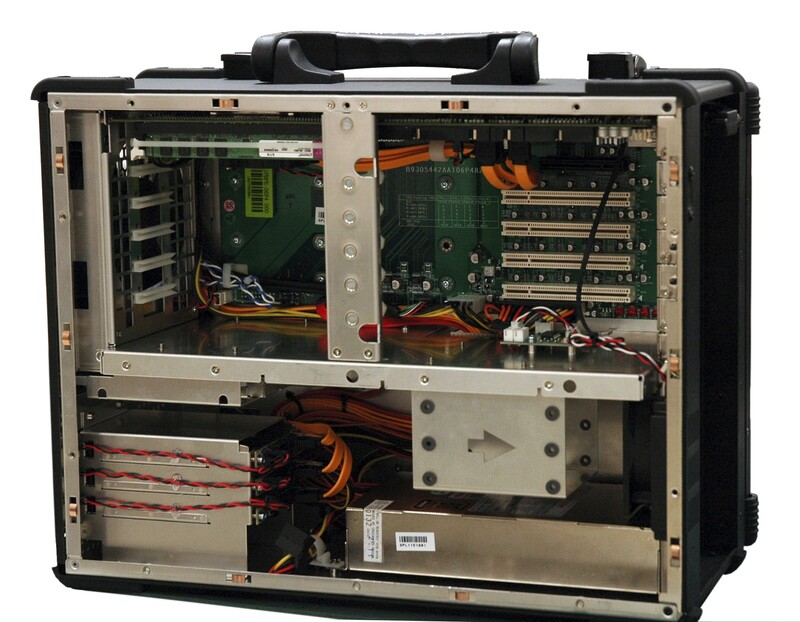 Selected by several blue-chip test and measurement companies, to operate as a product platform, and shipped with OEM badging, part numbers and data-plates, the MRPC-4 has become the “lunchbox” of choice for companies serious about quality, certification, consistent build specification and extended availability. Military applications include mobile classroom weapons system training and repair / maintenance simulation and visualization. Extensive transport tests and design detail like individual card hold-down clamps have ensured the long life and reliability of the MRPC-4 system. 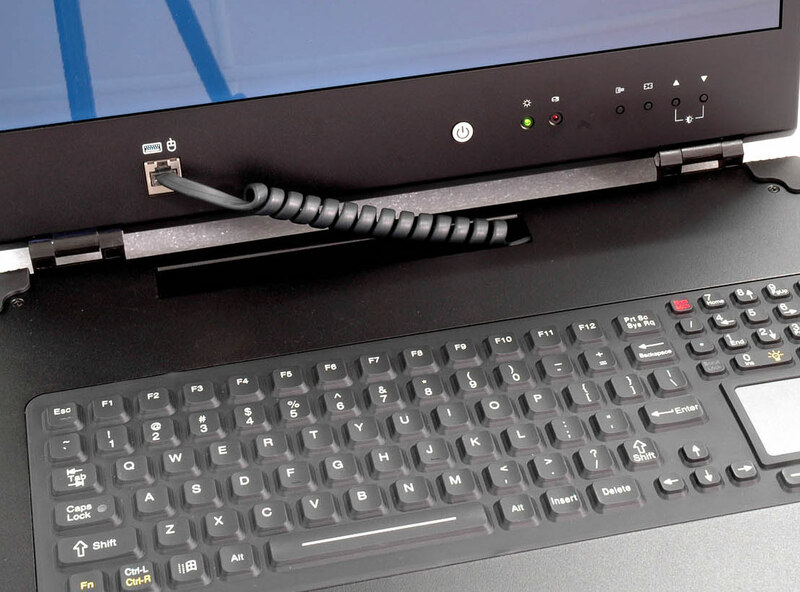 A standard DVD recorder (BlueRay optional) and two 3.5” removable drive bays allow flexible storage. An optional touch screen allows the system to be configured as an add-in tablet without a keyboard making the system smaller & lighter. Dual cooling fans and easy top access to its expansion slots are provided for ease of system configuration or maintenance. Usually configured with an Intel i7 and Windows 7, the MRPC can support up to six SATA drives, including RAID. The MRPC-4 has passed MilStd 810 Temperature, Humidity, Altitude, Vibration and Shock tests.